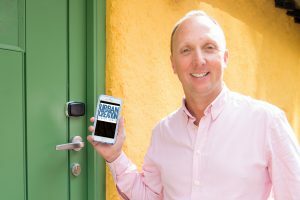 Stockholm – July 25, 2017 – Bristol, UK-based property developer, Urban Creation, has successfully implemented the ASSA ABLOY Hospitality Mobile Access solution at two of its new student accommodation sites. The Manor House and Charlotte’s Rise, historic buildings converted by Urban Creation into stylish student residences, are now offering secure and convenient access through ASSA ABLOY Hospitality Mobile Access and VingCard Signature RFID door locks, allowing tenants to gain entry to their rooms and suites with a quick swipe of their mobile device. 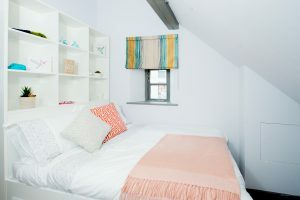 Urban Creation turned to ASSA ABLOY Hospitality’s innovative technologies to create a unique and streamlined experience for its student residents, making it the first company in Bristol to launch the technology within a student accommodation. An added convenience for both residents and property managers is that check-in is immediate upon the start of each student’s lease through the mobile access app, and the app automatically checks them out at an agreed-upon time at the end of the lease. ASSA ABLOY Hospitality Mobile Access not only streamlines the check-in and check-outprocess, but also removes the risk of student residents losing physical room keys, which is a security risk and creates added costs for replacing keys and door locks. If the student’s phone is lost or stolen, the key can easily be removed from the mobile app remotely to prevent unauthorized entry. Additionally, The VingCard Signature RFID door locks offer the two properties state-of-the-art security, through powerful and innovative anti-cloning features that prevent unauthorized access.